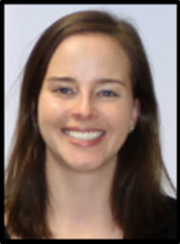 Site Principal Investigator – Lisa M. Neff, MD MS | Dr. Lisa Neff is an Assistant Professor in the Division of Endocrinology, Metabolism and Molecular Medicine at Northwestern University. She earned her B.S. in German and Biology from Tufts University in 1994 and her M.D. from the University of Illinois at Chicago (UIC) in 1999. 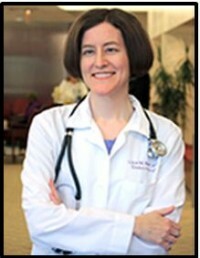 Dr. Neff completed a residency in Internal Medicine at UIC in 2002 and fellowships in Endocrinology and Clinical Nutrition at Tufts-New England Medical Center in 2006. Upon completion of her fellowships, Dr. Neff joined the Clinical Scholar Program at the Rockefeller University in New York, earning a Master’s Degree in Clinical and Translational Research. Dr. Neff’s research has largely focused on nutritional interventions for the treatment of obesity and related metabolic disorders. In addition to the D2d study, her current work includes a study investigating changes in body temperature and brown fat activity in response to weight loss in obesity. 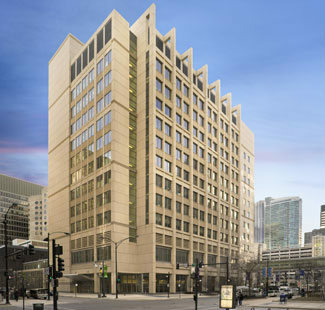 Dr. Neff also provides patient care in Northwestern’s Center for Lifestyle Medicine. Site Research Coordinator – Jenny Lewandowski, MS, RD, LDN | Jenny earned her B.S. in Food Science and Human Nutrition from University of Illinois at Urbana-Champaign and her M.S. in Clinical Nutrition from Rush University. Jenny joined the D2d team following a project management role supporting national cancer research groups in the United Kingdom. Her previous research experience also includes coordinating clinical trials that evaluated lifestyle modification and therapeutic drug intervention in obesity, diabetes and hypercholesterolemia.